Man Cycles Down Massive Dam And Into The Water Because Why Not? 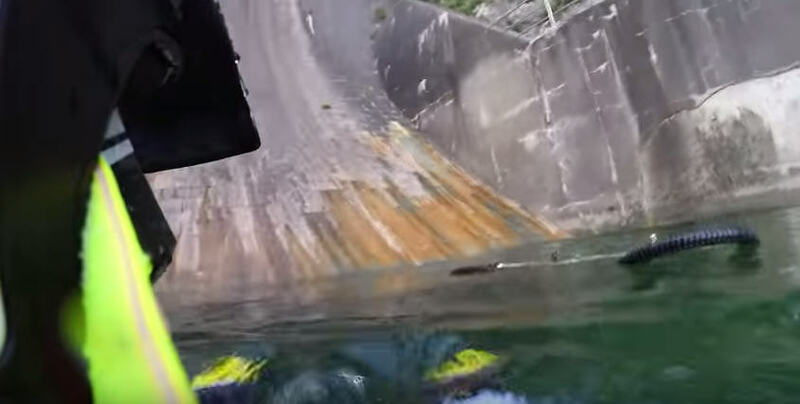 More GoPro action, this time it’s a man cycling down a massive dam and into the water at the bottom. Obviously. 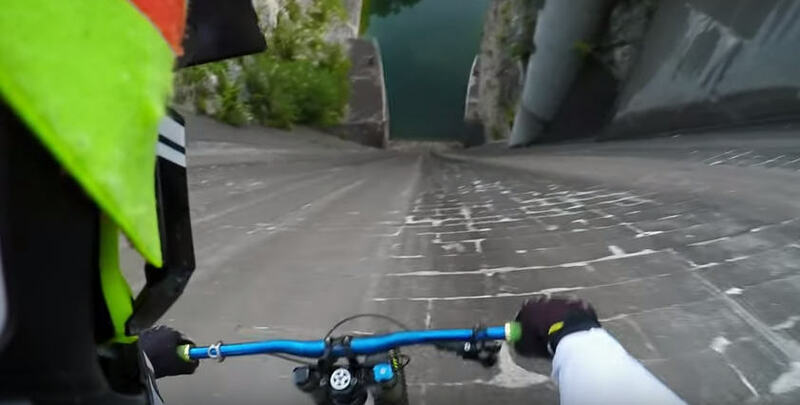 Mountain biker Primož Ravnik decided to ride down the side of the 60m dam in Slovenia because YOLO. He then dives straight into the water. I’m not sure what he was expecting to happen. Maybe that. Or maybe he thought he was going to take off and fly over the hills? Who knows. The stunt was an entry to the Line of the World contest, which is run by GoPro itself to try and find the best extreme POV footage. One winner is selected a month and receives a $1,000 prize.